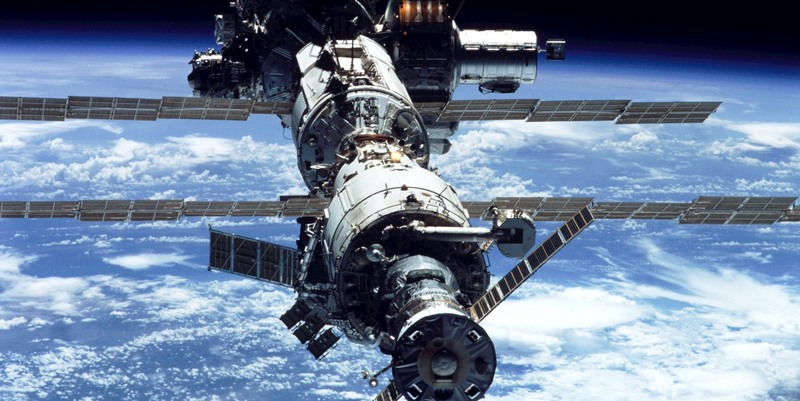 Has a drug-resistant disease been discovered on the International Space Station? Orbiting some 254 miles (409 kilometers) above our heads for nearly 20 years, the International Space Station has become a beacon for ventures beyond the safety of our home world and a shining example of how humanity can work as one. This icon appears to be generating something else – drug resistant diseases. While carrying out hundreds of experiments on board the ISS is all part of a day’s work for the crews of astro and cosmonauts, it also seems they might be at extra-risk in this environment. A 2014 NASA report noted that the immune system becomes “dazed and confused” during the astronauts’ time in the microgravity of space. Weakened immune systems and super-powered diseases are not a good combination when one is on a journey months, possibly a year, away from Earth. Two of the station’s most commonly-used areas, the toilet and exercise area were determined to be the primary locations where the bacteria were most prevalent. Fortunately, the germs discovered are not pathogenic (meaning they don’t cause disease) to people. The bacteria discovered, Enterobacter, is found on Earth in soil, sewage, and in the gastrointestinal tract of humans and animals. Perhaps one of the more troubling aspects of this discovery is that the diseases found on the ISS are similar to drug-resistant strains that have been found in hospital settings back on Earth. In hospitals Enterobacter can cause: infection in humans, causing bacteremia, endocarditis, septic arthritis, osteomyelitis, skin and soft tissue infections, lower respiratory tract, urinary tract, and intra-abdominal infections. (Per the BMC report). The report isn’t definitive in saying that Enterobacter and its relatives would cause on orbit health issues. A report on Phys.Org used caveats such as “potential” “predicted” and noted that “further studies” were needed to be carried out to gain a better understanding of just how much of a problem drug-resistant diseases might be on future missions. So while the ISS might not have churned out the 21st Century’s version of the Andromeda Strain, it has helped shine a light on one of the many challenges crews bound for distant worlds have to contend with. This is a big concern for NASA as the agency has been touting (for a long time) that it will be sending astronauts back to the Moon and on to Mars. At present, the agency has no means to send astronauts anywhere. It can only reach low-Earth orbit with the help of Mother Russia. The first component of what would eventually become the International Space Station, the Russian Zarya module, was launched in November of 1998. This was followed by NASA’s Unity module about two weeks later. The station’s construction took more than 12 years to complete and there are components that are still waiting to be launched (Nauka, Uzlovoy, the Science Power Modules and NanoRacks Airlock Modules). Don’t worry. Not many people will ever live on the Moon or Mars. The lack of an atmosphere, and flowing water will be too expensive and difficult to overcome. It would be like checking yourself into a maximum security prison. At least they let you walk outside for a hour a day in a fenced off box. Space suits are too complex and expensive for casual use. A malfunction and you’re dead in a minute. Watch a spacewalk on the ISS. Just getting ready to go out into a vacuum is a major production. Try to survive well below freezing with no fuel or oxidizer to burn it. A few scientists might inhabit Mars. But that will be about it. And they are unlikely to stay for very long.